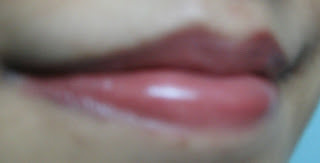 I am basically a lipgloss person (this would have been my statement some 4 to 5 months back). But things have turned upside down in the past few months. I don't really know what made me turn into a lippie person. Maybe I've realised that the variation in the shade of lipsticks are a lot, lot more than lipglosses and also the staying power is also more compared to glosses. 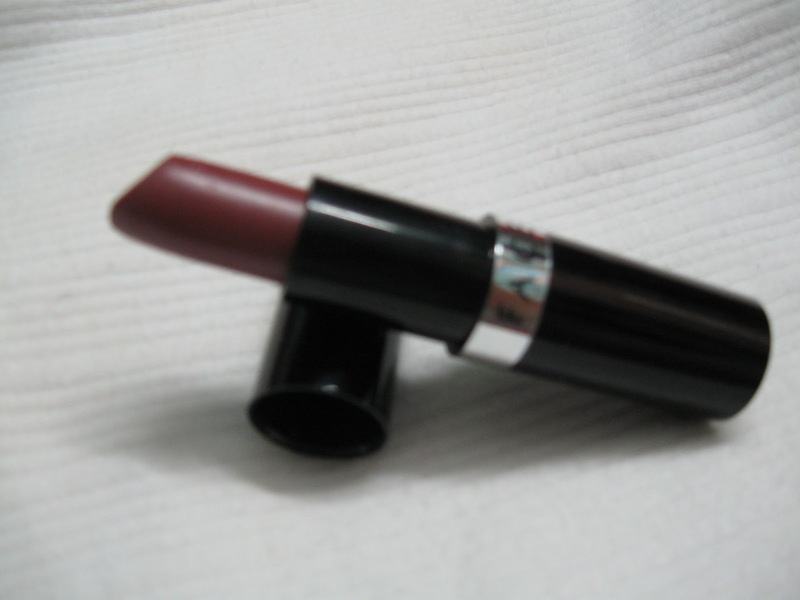 So today I'll be reviewing one of my new shade. Price: Rs. 199 for 4.5gms. I think its a very affordable for such a quality and quantity. The packaging of the lipstick is very attractive. It has a full shiny black plastic body with a silver ring in the middle in which faces is written. 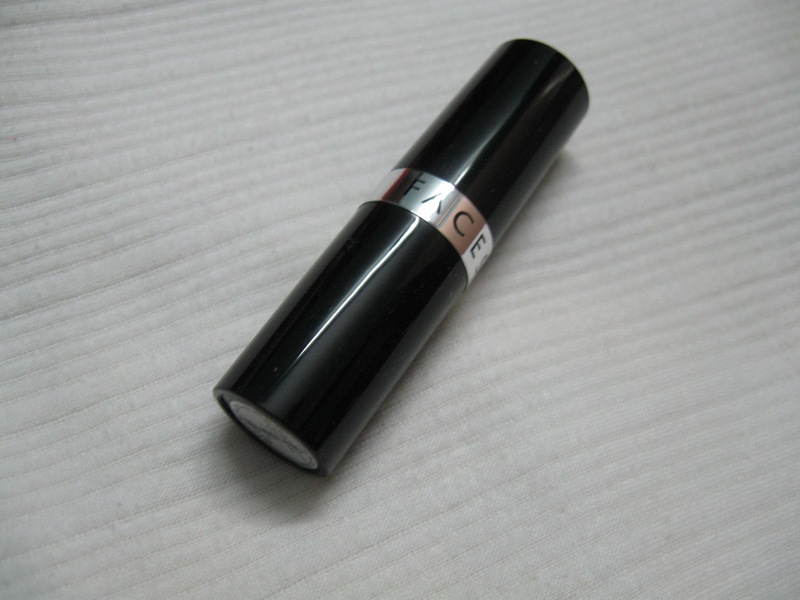 The lipstick opens and closes with a click and is very much travel friendly as there are no chances of the cap opening in the bag. Now coming to the texture, I'll say it's not really creamy and moisturising as the Maybelline Moisture Extreme ones but neither is it hard. It glides on easily and it has the right texture. People with chapped and dry lips might need a balm underneath but otherwise it can be directly applied on the lips. It doesn't make my lips dry. Pigmentation of the lipstick is good. One swipe is enough for a day look/office look.But the staying power is not that much good. It stays on my lips with full glory for around 1.5 - 2 hours but then gradually fades. Now coming to the toughest part, the description of the color. Well I am very bad in describing colors but still, the color is sort of brownish coral. It appears almost to be brown in the bullet, but when applied it turns out to be a nice coralish brown :P ( sorry for that one.. I really don't have anyother way to describe the color). I am wearing this color almost every alternative day to office. Am currently obsessed with the shade. 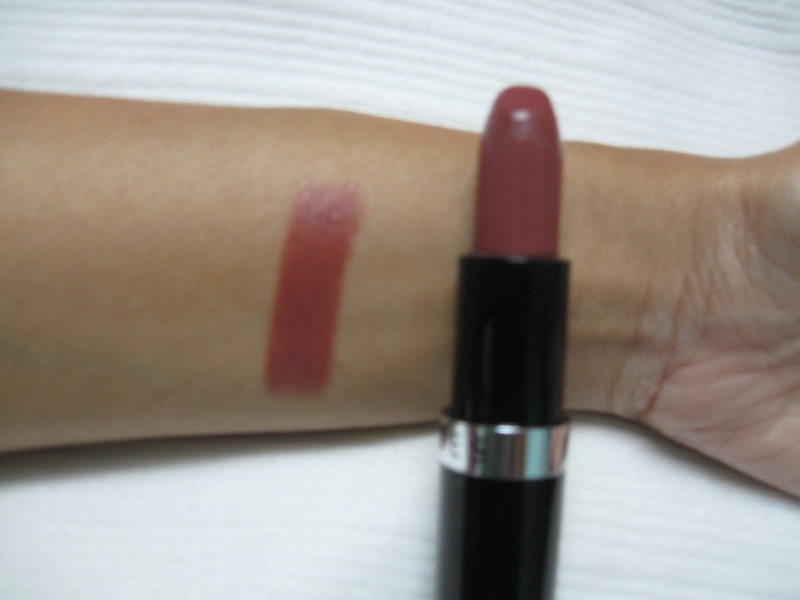 Moreover, the quality and the price of the lipstick is a total value for money. Beautiful color. Looks great on you. Thanx and do give this color a try. 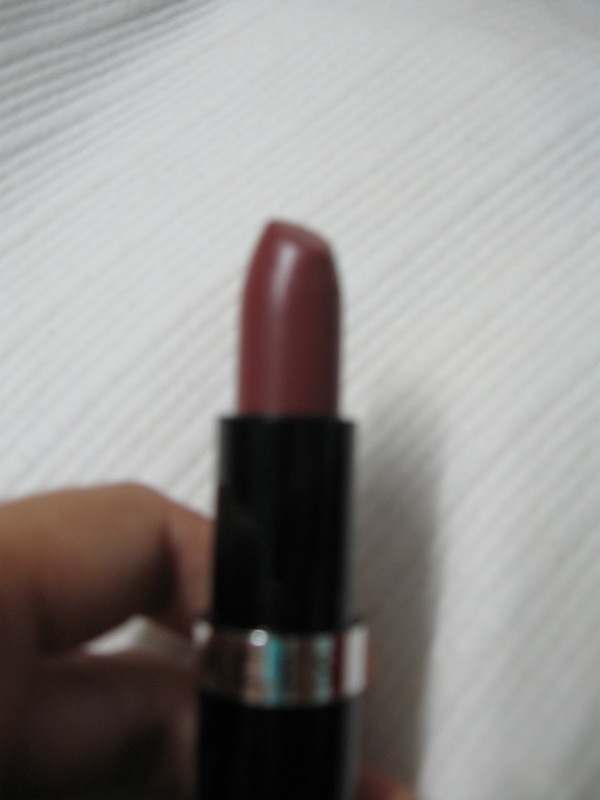 Thank you and Even I love this shade very much.